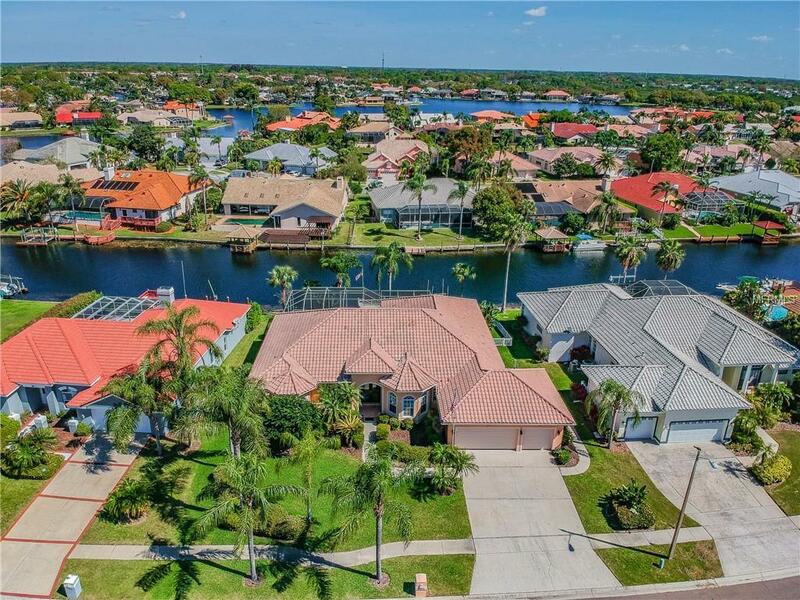 Welcome home to this WATERFRONT beauty with BAY & GULF ACCESS in the GATED community of Bayside! 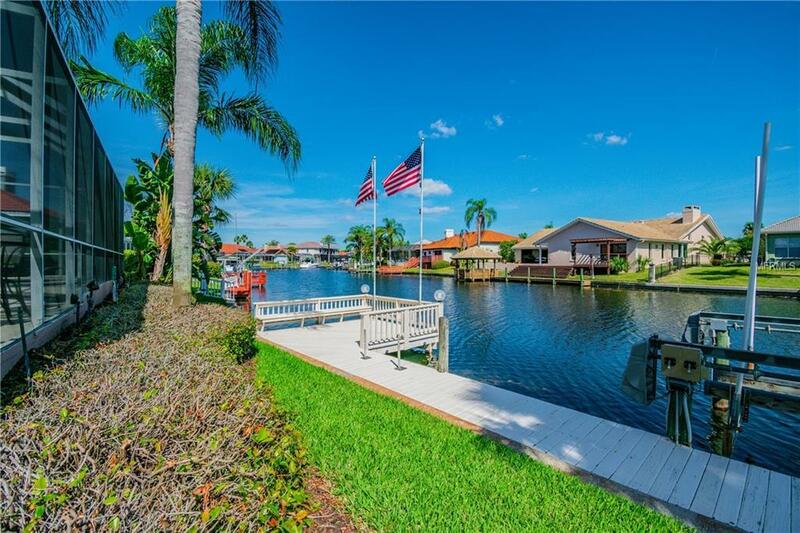 Boaters dream with DOCK & BOAT LIFT right in your own backyard! This lovely & WELL MAINTAINED home is truly unique with a great OPEN FLOOR PLAN! Beautiful CUSTOM FRONT DOORS greet you & you can't help but notice all the windows, light, & WATER VIEWS galore! The kitchen is open to the family room, with a breakfast bar, island, built in desk, and breakfast nook with POCKETING SLIDERS that open all the way into the wall, great for entertaining! The family room is spacious with PLANTATION SHUTTERS, gas FIREPLACE, & a beautiful COFFERED CEILING that extends from the family room all the way into kitchen. Great architectural design throughout! The master suite is large with a SITTING AREA, 2 WALK IN CLOSETS ,& sliders to the pool. The master bath has GRANITE COUNTER TOPS, DUAL VANITY, GARDEN TUB, & SEPARATE WALK IN SHOWER. SPLIT FLOOR PLAN with 2 bedrooms on other side of home, guest bath with granite countertops, & a 4th bedroom or den off the living room. Great POOL BATH with walk in shower, so no wet feet running through the house! You will love the outdoor pool area with screen enclosure & 2 separate areas under roof for alfresco dining or lounging. Sparkling HEATED POOL & SPA (NEWLY RE-SURFACED) is surrounded by lush tropical foliage, makes it seem like you are on vacation all the time! Fun neighborhood with lots of events! GREAT SCHOOLS including the coveted Berkeley Prep 5 mins away & 10 mins to airport!